When it was announced that Tim Wynn was taking the reigns for XCOM 2, I was certainly intrigued. 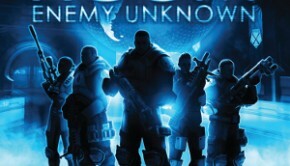 The original XCOM: Enemy Unknown featured a serviceable in-game soundtrack that fell considerably short as a stand-alone experience. Tim Wynn, having previously impressed with his rich narrative score to The Darkness II and contributions to Command & Conquer, seemed like an excellent candidate to lead the soundtrack. 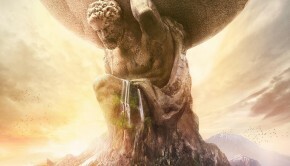 In a first for 2K, the publisher released the soundtrack digitally at the same time as the game. Did it deliver? The best thing that can be said about XCOM 2‘s soundtrack is that it is much more substantial effort than its predecessor. XCOM: Enemy Unknown featured just a handful of highlight tracks amidst numerous short cinematic cues and ambient noise drones. 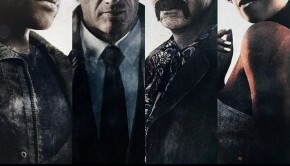 In contrast, Tim Wynn’s soundtrack for the sequel is a fully-fledged soundtrack featuring 26 themes and 67 minutes of music all intended to some degree for stand-alone listening. He sets the tone for the soundtrack with the main theme “Lazarus”, a moody yet uplifting blending cyberpunk soundscapes with Hollywood cinematic progressions. As the soundtrack progresses, Wynn channels more of the cyberpunk sound by blending neo-futuristic electronic beats with high-reverb string and brass passages. The sound generally fits XCOM 2‘s world and builds nicely on the concepts of the original game’s defining themes. However, the most obvious inspirations for Wynn’s compositions here are two of cyberpunk’s greatest soundtracks, Deus Ex: Human Revolution (e.g. “Welcome to the Lab”, “First Flight”) and Tron: Legacy (e.g. “Infiltrator”, “Game Over”). However, two key reasons prevent Wynn from coming close to paralleling these works. One of them is the soundtrack’s anonymity. Whereas the soundtracks for Deus Ex: Human Revolution and Tron: Legacy were deeply tied into their narratives and brought to life their visuals, XCOM 2‘s soundtrack is more often than not aseptic and generic background music. This partly reflects the nature of the game, but is certainly accentuated by Wynn’s compositional approach. For example, “Stage One” mirrors the electronic ambient approach of Human Revolution with some degree of compositional sensitivity and production finesse. Yet whereas the source soundtrack felt deeply tied into the narrative, this theme feels rather detached and low in detail. “Out of the Ashes” uses tried-and-tested scoring techniques to capture the squadron going into battle. Dark electronic ambience sets the scene for the composition as a subtly motivating militaristic string melody emerges. The problem with the composition is that it feels contrived: repetitive beats aside, every phrase of the lead melody takes a highly predictable direction and hence fails to engage the listener emotionally. In similar vein is “Stage Three”, which attempts to recapitulate the game’s main theme to capture a sense of impending climax, but ends up sounding flat and meaningless. 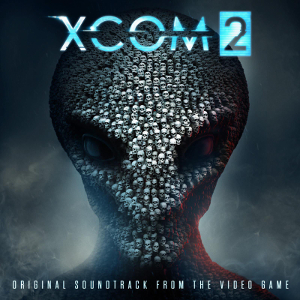 However, the most crippling issue with XCOM 2‘s soundtrack is its unbelievably generic nature. While the aforementioned “Lazarus” sets the tone of the soundtrack appropriately, it fails to distinguish itself from its numerous better counterparts. The electro-orchestral soundscape lacks the definition of those of its cinematic inspirations — the sample libraries and reverb effects giving a rather muddy sound — while the melody itself lacks the memorability and distinction of a top-notch main themes or even Enemy Unknown‘s counterpart. It’s passable, but very much a pale film imitation. “Squad Loadout” sounds like a bad parody of a 90s action movie theme, featuring nothing more than an overly patriotic brass lead and those chugger-chugger string motifs you’ve heard countless times before. But perhaps the biggest disgrace of all “Obey”. While clearly written as a homage to the likes of Tron: Legacy‘s “Recognizer”, it is completely devoid of any musical substance: its constituent elements are simply a few generic beats and a four-note ascending scale, and these elements are looped incessantly for the track’s entire playtime. There are brief occasions when Tim Wynn’s mastery occasionally shines through. After initially boring with yet more of the same, “Unification Day” manages to grab and sustain the listener’s attention by dropping all the orchestral forces to focus on a single beautiful voice; humanising yet alienating at the same time, this one-minute passage is XCOM 2‘s most exquisite moment. “Alien Fortress” fairly successfully brings the soundtrack into horror territory. While much of the track is yet more ambient electronic slow-build, Wynn tastefully breaks the established timbres and rhythms on occasions with some genuinely startling tones. The synth choral climaxes of “Retaliation” and “Avenger Attacked” also manage to lift these cinematic cues just above the line of mediocrity. Yet there are just transient moments amidst over an hour of anonymous, generic compositions. Between them, expect yet more military cues (e.g. “Break the Line”, “Weapons of Choice”, “Last Hope”) and electronic ambience (e.g. “Codex”, “Psi Network”, “Implants”) as generic, aseptic, and repetitive as the next. Even the soundtrack’s extended finale “Ambush” is just another mashup of cyberpunk and military tropes. How did this soundtrack go so wrong? The XCOM series is undoubtedly a difficult one to score given the games focus more on gameplay over narrative leaving limiting musical opportunities. It’s also possible producer meddling resulted in the score being forced down a generic direction that didn’t necessarily suit the game. 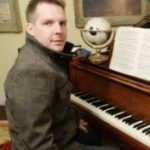 But despite his excellent track record till now, many of the problems lie with Tim Wynn who took lazy and banal approaches throughout the score. While the game itself is well worth your time, I would recommend skipping this soundtrack in favour of almost any other cyberpunk score out there. Posted on April 18, 2016 by Chris Greening. Last modified on April 18, 2016.